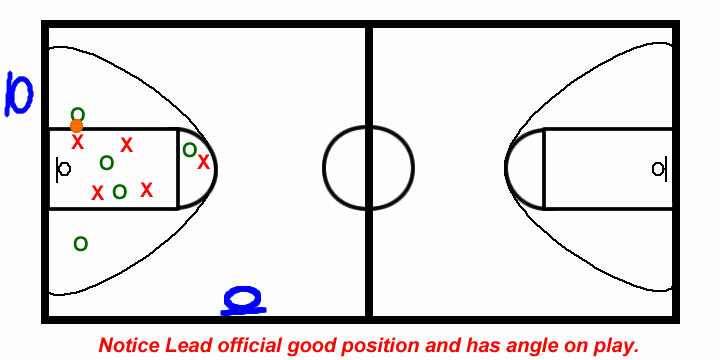 Positioning: In the training scrimmage sessions we have noticed that officials are working the Lead position too wide or the Trail official too far. Moving accordingly to be in position will increase your chance of making a good call. Working The Lead: Officials are working too wide in the Lead and have their shoulders almost perpendicular to the end line. 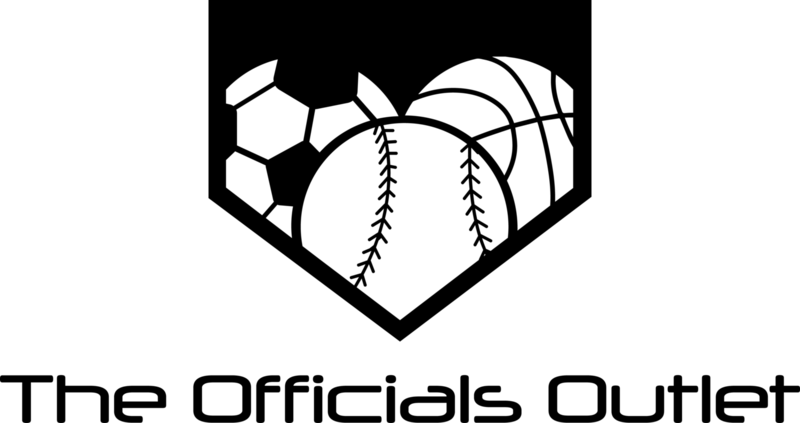 This causes the Lead official to be straight lined when the ball is in the key and focusing on the ball when the ball is outside the key. The Lead official should almost be squared up to the endline. A little angle (turn) is ok. 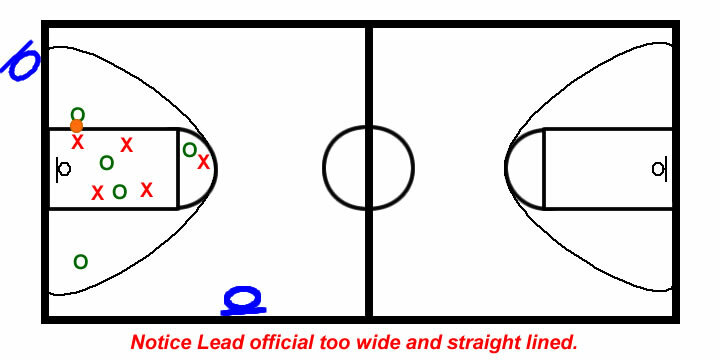 The Lead official should move along then endline to maintain a good view through the players, adjusting accordingly. Working the Trail: We know Gary has been teaching "the sideline is your friend" over the past several years. However when the ball has moved to the far sideline, the Trail official needs to "work the arc." 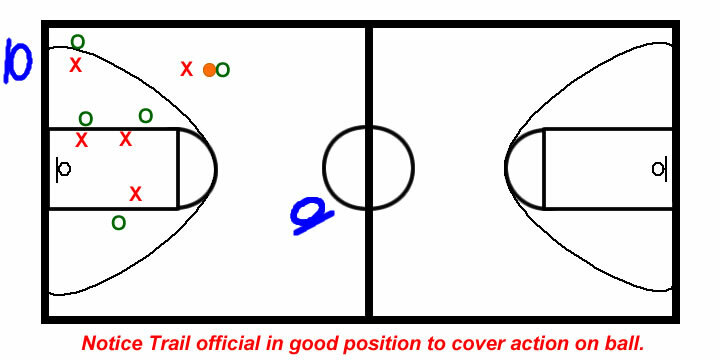 In otherwords, move onto the court and towards the backcourt allowing the Trail official to maintain angle and proximity to referee the action on and around the ball.